New Zealand Prime Minister Jacinda Ardern and U.S. Senator Tammy Duckworth both prove that pregnancy and motherhood does not disempower women. Bearing a child does not mean that a woman cannot achieve what she sets out to achieve. What stands in her way is not her child, but a misogynistic society that does not support her. 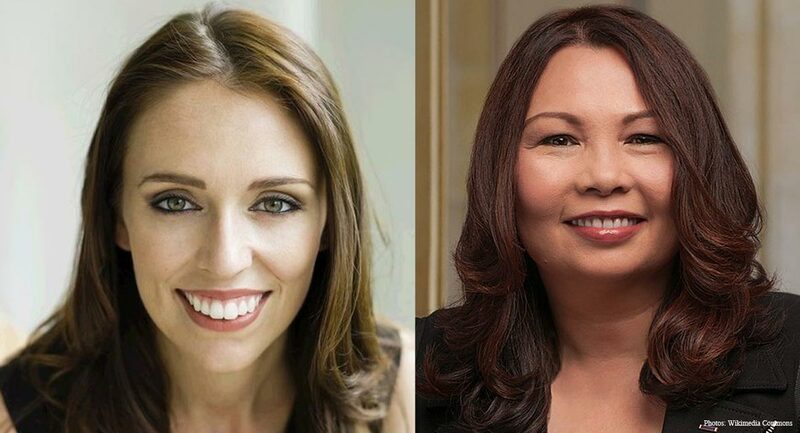 Unfortunately, both Duckworth and Ardern support abortion — which devalues much of the good work they do for women, and helps perpetuate the notion that women need to kill their children to get ahead, even as they succeed. This year, Tammy Duckworth became the first senator to give birth while in office. It’s another incredible moment in an extraordinary life: Duckworth was a lieutenant colonel in the Army, where she served as a helicopter pilot. Her Black Hawk helicopter was shot down in Iraq in 2004, causing her to lose both of her legs, making her the first female double amputee. But Duckworth kept serving her country, first in the House of Representatives, and now in the Senate. She has since done many good things for mothers: working to help military moms, sponsoring bills for paid paternal leave and affordable childcare, fighting for on-campus childcare for students. New Zealand Prime Minister Jacinda Ardern has likewise shattered a huge boundary this year, becoming the second world leader ever to give birth while in office, and the first in almost 30 years. Ardern continued to work while she was in labor, and her partner, Clarke Gayford, took over as the primary caregiver for their daughter after she finished her six weeks of maternity leave. After announcing she was pregnant last October, Ardern quipped, “I am not the first woman to multitask. I am not the first woman to work and have a baby; there are many women who have done this before.” Ardern has likewise worked to help her fellow mothers, increasing paid parental leave, and is working to provide bereavement pay for women who have miscarried. But Ardern has also promised to reform New Zealand’s abortion laws, removing it from the Crimes Act. Currently, abortion is only permitted if the woman is under 20 weeks pregnant, and her pregnancy is considered a danger to her life, mental health, and physical health. Women do not need abortion to succeed, and its legality has done nothing to address the injustices women face. Women continue to be discriminated against in school, deprived of the support and resources they need to graduate and have a brighter future. Many high school students are pressured to choose between education and their babies; if they choose life, they must contend with a traditional school schedule, mountains of homework, and the struggle to provide for their child. In college, housing for pregnant or parenting students is practically non-existent. Lactation rooms or changing tables on campus are hard to find, and day care is likewise rare. Prenatal care is snubbed for abortion referrals. All of this discrimination is illegal, but it’s still happening. Far from preventing it, abortion enables it. After all, what need is there to put an end to such discrimination when a woman can get an abortion and have the “problem” — her preborn child — removed? The abortion industry itself then further manipulates, lies to, and pressures women into having abortions. Other women are coerced into abortions. Even abortionists admit that abortion does not solve these problems. Better support and resources are needed, and Duckworth and Ardern have made laudable advances in trying to provide them. But supporting abortion ensures that the current state of affairs will continue. It’s wonderful that these two women are able to set an example for mothers, but they should do so without sending the message that abortion is something that women need.